Providing the Triangle with quality emergency repair, scheduled maintenance, or new installation of air conditioning and heating systems. Apex Heating and Air accepts a variety of payment methods and provides financing options for those who qualify. If you need repair service or require a new system, we have options for you! The health of your entire family depends on the air quality of your home. Apex Heating and Air can help improve the overall air quality of your home. Call us to find out how. There may be energy providers and manufacturer rebates to help you in the purchase of a new heating and air conditioning system for your home or business. Call Apex Heating and Air today to learn more. Apex Heating and Air Conditioning’s NATE-certified technicians mean you can rest assured you are getting the best installation and service for maximum comfort and economy in your heating and cooling system. Apex Heating and Air Conditioning provides the Apex and Cary area with HVAC Installation, HVAC Repair, Furnace Repair, AC Repair and Scheduled Maintenance of ANY manufacturer system. Founded in 1969, locally owned, Apex Heating and Air Conditioning Inc. offers top-notch customer service and expertise every time! Whether you are in need of routine service, repair or new installation, we will work with you every step of the way, to ensure that you are knowledgeable at all times. Our dedication to customer satisfaction is the reason that so many customers call us time and time again. Our mission is to provide professional, courteous service and quality workmanship to every customer. Apex Heating and Air Conditioning Inc., recipient of the prestigious Carrier® President’s Award for service excellence, has built a solid reputation for customer satisfaction through quality work, attention to detail and prompt service for 48 years. A local SMALL business with a BIG IMPACT! When it comes to your family or staff, you want a dependable heating and air conditioning system, as well as a quality installation! As a Carrier® Factory Authorized Dealer, we can provide you with the most efficient system save you time and money and help the environment too! Count on Apex Heating and Air to deliver PEAK comfort to you in Apex, Cary, Holly Springs, Fuquay-Varina and the entire Triangle area. We are currently hiring Service Technicians and Installers. Click to inquire. Excellent service today from technician Mike. Impressed that he arrived in just two hours from when I called and had the problem solved in an hour. Price seemed very reasonable to get the air conditioning working again. Mike was friendly and polite, as was the woman who booked the appointment. Thanks for making my home comfortable on a hot summer day. You guys do great work. We’re still loving our new Carrier central HVAC. The Company listed above, owned by ***** ******, recently installed a new Air conditioning Unit and a gas heating unit at our home on ***** ****, near ****, NC. We were very pleased with the speed and efficiency of the entire crew. They took less than a day to remove the old unit(s) and install the new unit(s). I was very impressed with their knowledge of both units and the necessary settings -And the fact that they tested both units upon completing of the installation. The air conditioner was a 3 Ton, 16 seer, GSX 160361, using a 410A Freon. I would recommend this company to anyone for this type of installation. Great, thank you so much. I will call to schedule… You guys are GREAT. Oh, the inspection went fine yesterday. The Inspector was so complimentary of your work. He said ” anytime I need to inspect the work that these guys do it is always exemplary”. He also mentioned that he does not use you guys, I told him that was a BIG mistake and he should think about switching over. I explained how wonderful and supportive you all are. Thank you and your AC team. Again so great working with you all. Great job! I am so impressed with your company. I called your emergency line on July 4thand your technician was out here within 45 minutes. I feel like he thoroughly checked out my unit and it was determined that it couldn’t be repaired and I needed a new one. It was only after Kenny discussed with me the different options that I discovered that he was in fact the owner of Apex Heating and Air Conditioning. He was so forthcoming and kind about the need to replace my system, I knew he wasn’t misleading me. I enjoyed hearing about the history of the company and I thought, this is a really good man. This kind of service is surely why he’s been in business for so long. I’ll never call another heating and air company again. Thank you! I can’t thank all of you at Apex Heating and Air enough for the quick and dependable service you provided for me. My old heating unit ‘died’ late afternoon during a very cold time. Brad came out and told me the situation. He immediately communicated with the home office and scheduled a time to install a new unit the next morning. The crew arrived and could not have been nicer or more professional. They worked constantly and made sure that I knew how the new thermostat worked. I will always be grateful. We had a 10-year old Goodman air conditioning unit that had been giving us trouble for several years due to leaks in the coil. It finally stopped working in mid-May when the weather started turning hot. We called Apex Heating and Air and they sent someone out the very next morning. The technician assessed and tested the equipment, carefully explained our options, and provided costs and potential outcomes to repair vs. replace the failing unit. We decided to replace the unit rather than dump a large sum of money into a temporary and possibly futile fix — and we were glad we did! A few days later the installers arrived with our new unit exactly on time. Not only did they complete the job in the estimated time frame and on budget, they were very professional and extremely neat and clean. We would highly recommend Apex Heating and Air for a new air conditioning system or HVAC installation in your home. Their timeliness, honesty and professionalism is second to none!!! Thank you to everyone I have spoken to or worked with throughout our process of installing a completely new Hybrid HVAC system!! My wife, dog and myself could not be happier with every aspect of the work that was done at our home, from beginning to end! A local company that still operates, performs exceptional work and treats their customers this way, makes my family proud to be your customer for a long time!! The employees of Apex Heat & Air Conditioning are friendly, courteous, and highly competent. They have provided excellent service with their twice yearly preventative maintenance and timely service when needed. I have had Apex Heating and Air complete two service calls recently and I could not be more satisfied with the work they did. The service tech was on time, very friendly and was able to explain everything he was doing so that I could understand. I took advantage of a Service Contract Offer and saved a lot of money. I would highly recommend Apex Heating and Air to my friends and family. Having been a customer for over 20 years, I cannot say enough positive things about the services I have received from Apex Heating and Air Conditioning. Because I am on a service agreement with them, help has had to come on very inconvenient occasions like Thanksgiving Day! They have always been prompt in their response and in providing options when needed like a recent request to check the system because I felt the air was not cooling sufficiently. After only two days, it was obvious that a new unit was needed. I so appreciate the service I receive from having the service agreement with them it’s like an insurance policy! Too many times I hear people complaining about having to call several companies when they are in a crisis. Perhaps they could become proactive rather than reactive and their lives would be much less of a hassle where heat and a/c are concerned. Installers were very professional and very knowledgeable about the job. They finished the job and cleaned up the area even though it rained for most of the installation. I would highly recommend Apex Heating. Apex heating and air just put in a new heating and air and we are very impressed with them. Their sales rep was outstanding, didn’t try to sell us anything we didn’t need, and did exactly what they said they would. Highly recommend this company and I will tell all my friends to use Apex Heating and Air. Apex Heating & Air replaced a 20-year-old system at my home. The sales process was straightforward; I never experienced high-pressure tactics or was presented with questionable information. The install process went smoothly, and the techs were friendly and courteous. I have done business with Apex Heating and Air for almost 30 years. They installed my system in my house and installed commercial systems on many projects. Trustworthy, dependable, quality, service oriented, friendly, competitively priced, going the extra mile is how I could describe these guys. Their service is the best. Give them a call. You won’t regret it. Friendly, helpful, knowledgeable and professional. Great customer service! 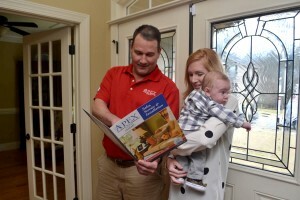 The value and customer service for Apex Heating & Air Conditioning, Inc. was excellent. I compared prices and found they had the best prices. They also included two carbon dioxide detectors in the price. They filed my warranties for me. They took the rebate off the bill for the air condition instead of having me file the manufacturer rebate. They made out the paperwork for me to request an additional rebate with the electric company based on the SEER rating of the air conditioner. Then I just had to mail it in with my account number. They scheduled the inspection with the town of Cary for me. The people who installed the air conditioner and heater were polite and cleaned up after themselves. I have recommended them to several co-workers. The crew at Apex Heating and Air have given us excellent service for 20+ years. They are always available and have provided us with exactly what we need for our heating and air-conditioning. Doing business with Apex Heating and Air is always a pleasure at a great price. They go above and beyond with their customer service. Outstanding service! Simply the best around. Our HVAC system went out in the middle of winter. Apex Heating and Air Conditioning came out same day as our call. They did a full system evaluation with load calculations. They helped us determine the appropriate set up for our size house, and were extremely efficient in the quoting and installation process. The owner was personally involved in overseeing the installation. They were courteous, thorough, and did a great job installing our system. Very warm and engaging service technicians who were very detail oriented in the installation, and did a great job with clean up every day. Our system works wonderfully, and I am so pleased at the job they did.